We are now residents of Paris, well, part time residents. In order to afford this place we need to rent out both apartments at least 26 weeks a year. In other words, we allow ourselves to be Parisians in January and August, when the rental season is low and whenever else we can fit in. Our first rental for the 2bedroom apartment was for a month of April, 2004. The smell of paint was still in the air but everything was new and everything worked. The renters were very happy. So were we. Our first rental in the studio was March 24th 2004. They liked it so much they came back again later that year. It all went perfectly. All worked well for the first few months, actually for the first 2 months. In June 2004 there was a robbery in the first floor apartment. There were no signs of a break-in at the front door. These doors are indestructible. They are made of steel and called armored doors (porte blandee). They locks can not be broken. They cost over 600 euros to replace. The building is across the street from a large Police Academy so it is unlikely a thief climbed through the front window during the day. The windows to the back of the apartment are over 30′ in the air with no access. The tenants told us that the windows were locked. It could have one of the workers who had a key during the renovation but unlikely. It could have been one of the cleaning staff, but unlikely. There is a metal swing arm on the door used to keep the door from closing and locking out the occupant. The arm might have been employed as the renter ran out of the apartment to join his wife waiting for him below. This is very likely. It was an unfortunate affair. His computer was stolen along with our flat screen TV. We bought a new TV and replaced the lock on the door and all the keys. In August 2004, we rented to a family with 2 small children. They assured us the children were extremely well behaved. That might have been the case. Maybe it was the parents who needed guidance. The cost to remove the chocolate hand prints from all the chairs and the sofa was a few hundred euros. After that we never rented to children under the age of 12. In September we had our first sani-broyeur incidents. Brigitte, our apartment manager, brough over her large friend Richard who lifted the toilet bowl away from the wall, reached into the waste disposal mechanism and cleaned it out. I’m glad we weren’t there. These were the worst of 2004. for the most part everything was fine and people loved the two apartments. We were renting them through Claude, the Parisian Renal apartment agent who first introduced us to Sophie and Michele, the real estate agents who sold us the apartment. We also created an account with VRBO.com (vacation rental by owner) which turned out great because we didn’t need to pay claude a 35% agency fee. VRBO rentals soon outpaced Claude’s rentals and eventually we just moved away from him and went on our own. Most of our rentals came through VRBO or through recommendations from friends and renters. we also rented through our apartment rental website, a few on Craig’s List, a few through a Portland based France apartment rental company called “At Home in France” and occasionally through Claude. 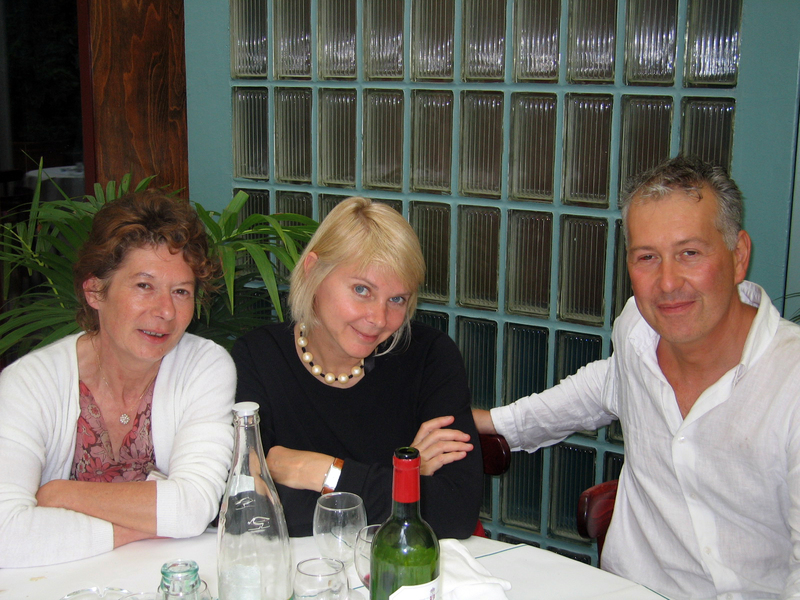 We met another couple in San Francisco who owned a really beautiful apartment near us in the Marais on rue Elzevir. 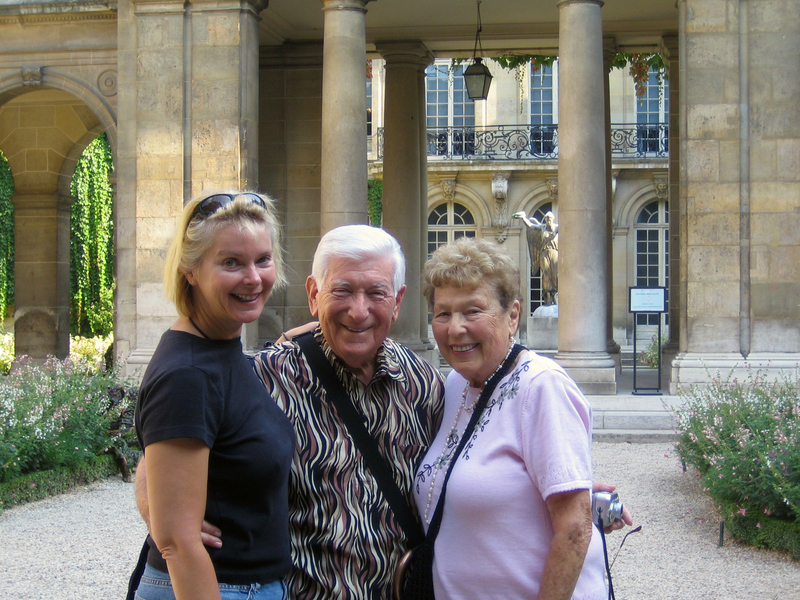 Bill and Ineke helped us set up a website, showed us how to create a renter’s contract, taught us about the real estate tax laws, introduced us to many new people and places in Paris and became two of our very best friends. By the end of 2004 we had a successful rental business and we were in love with Paris and mostly the Marais and Place des Vosges. We are less than a 3 minute away from this square and we never tire of walking through it or just hanging out on a bench inside the park that was once a jousting field in the 17th century. 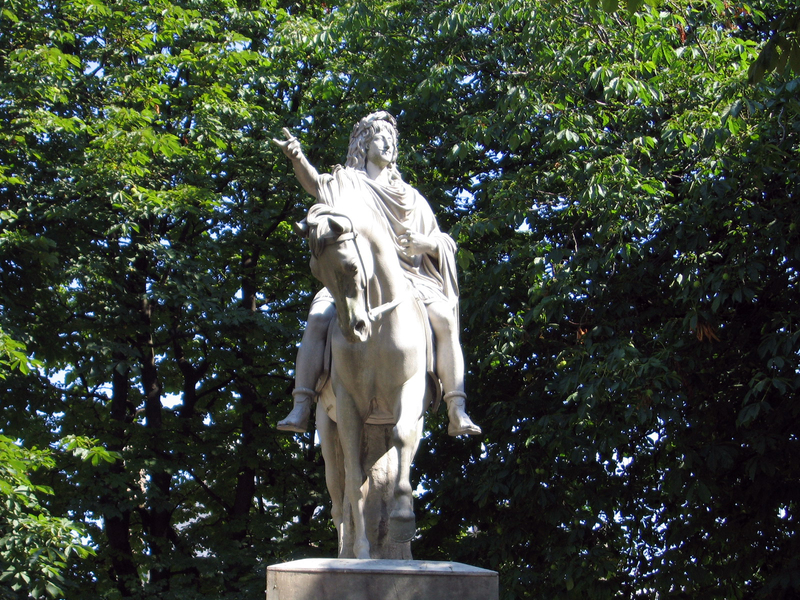 The Statue of King Louis XIII in the center of the square (with a tree trunk growing into the horse’s belly) was erected in 1825. The original one, erected by Cardinal Richelieu in 1639 was toppled over and carted away during the French Revolution. Napoleon changed the name of the square to Place des Vosges in 1800 to show his appreciation to the Vosges region in the northeast part of France, the first region to pay taxes to the new government. The name was changed back to Place Royal again in 1815 in appreciation of the departure of Napoleon, but it was somehow changed back to Place des Vosges in 1870. Today the arcades are filled with shops, restaurants, cafes and art galleries. On weekends, the large stone arches become sound chambers for guitarists, chamber music ensembles and “Le Voix”, an adult male soprano (we used to think he was a castrato) whose haunting arias can be heard from many blocks away. Most of the apartments in square are privately owned, but you can still get inside to see a few of them. The Maison de Victor Hugo is supposedly where Hugo wrote most of “Les Miserables”. His writing desk with pens and notes are carefully placed to appear they’ve been preserved just the way the author left them. The Hotel de Sully, built by a financier to King Louis XIII, is my favorite of the old Hotels Particulars. It’s not only a great building and small museum, it’s also a short cut from rue St Antoine through Place des Vosges to our apartment. Throughout the 17th century, wealthy merchants and noble families built their Hotel Particulars throughout the small winding streets of Le Marais. It was most prestigious to live near the King. As you wander through the streets of the Marais, they seem to pop up everywhere. Many of them are now privately owned, or owned by the State. The grand maison of the Salt tax collector is now the Picasso Museum. When King Louis XIV packed up and moved to Versailles in the late 17th century, the wealthy families that surrounded him (and his favors) moved with him. Over the years that followed, the buildings fell into disrepair. The French Revolution claimed them, then they were sold off to various manufacturing companies to use as warehouses and then it became an industrial wasteland filled with garbage and sewage. In the 1950’s young Parisian artists were looking for cheap places to live and work and rediscovered the Marais. It was the cheapest area of Paris to live. By 1965, the city tried to add some new recognition to the area and spruce it up a bit and in the early 1970’s this sprucing up included the horribly tacky urban mall known as Forum Les Halles and the inside out ant farm looking Pompidou Center. Renzo Piano and Richard Rogers, what were you smoking back then? The original Les Halles was the once the food hub of the city. Apparently the civic leader of the late 60’s thought the food halls were too unsanitary so they tore them down and built the most embarrassing civic redesign of the age. Our building is on the other side of the Le Marais, far enough away from the Pompidou, Les Halles and the all night dance beat of the bars along rue des Archives. The only time we go over there is for visits to Leroy Merlin, the hardware store across the street from the Pompidou Center. 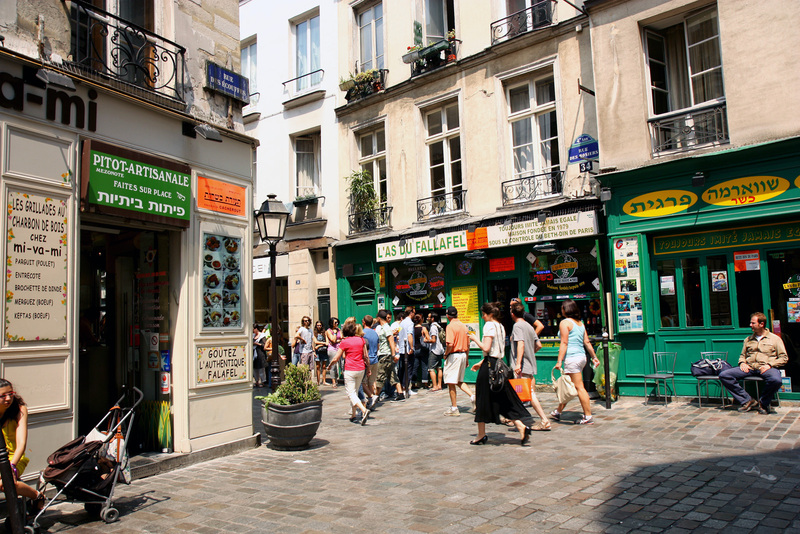 We keep closer to the trendy shops along rue Francs Bourgeoise, the little restaurants in the “Pletzel”, old Jewish Ghetto marketplace of eastern European delicatessens and Middle Eastern falafel stands (especially the L’as du Falafel) along rue des Rossiers. The North African Muslims and Sephardic Jews started repopulating this area after World War II. France helped to replenish the Jewish population, depleted when its Ashkenazi Jews, having escaped the pogroms of Eastern Europe, were rounded up by the Nazis and the French police and transported back east to concentration camps. We love our neighborhood. 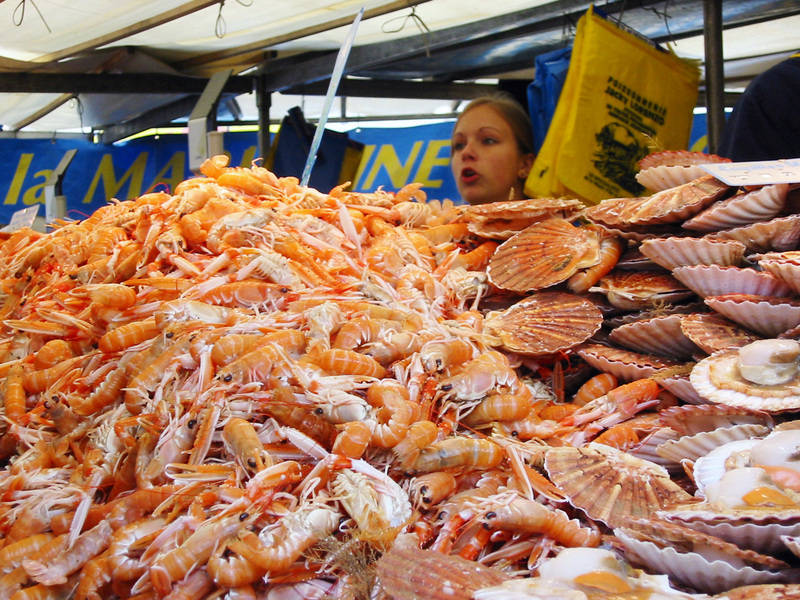 The food markets along Blvd Richard Lenoir, near the Place Bastille, take place twice a week or we can always go to the food hall in the Monoprix on rue St Antoine. In 2004, everything was mostly going well. It looked like we did it right. 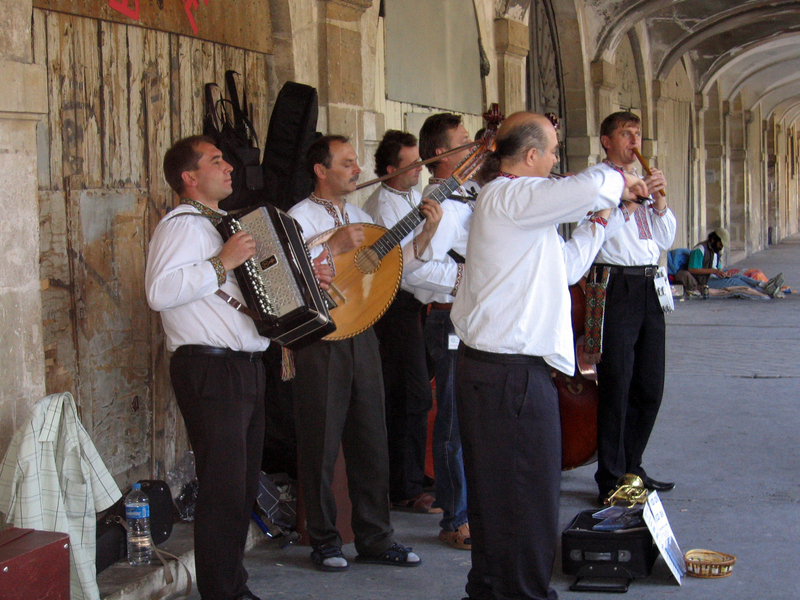 July 14, 2005 – We really tried to get to Paris on Bastille Day. We just didn’t make it in time for the big celebration. We had no idea it all happened the day before. As the taxi passed through the Place de Bastille, we watched the stage being disassembled and removal. The cab driver told us the celebration was fantastique. He further explained we could still catch the fireworks at the Eiffel tower that night, but in July, the sun doesn’t set until after 10pm over here, right about the time we ran out of gas and crashed, lulled to sleep by the gentle rumblings of underground metro trains and the pyrotechniques in the distance. It’s summertime and the face of our building is bathed in sunlight. The rest of the year we get about an hour of full sun a day, but in the summer we get a direct hit for most of the afternoon. It’s really hot, mid 90’s Fahrenheit hot. Hot time, summer in the city. And the AC doesn’t work, which is nothing new. Air conditioning is a novelty in Paris and although the systems are “State of the Art”, the people installing these things are definitely from a different state. At first we were charmed by the two little freezer boxes seated above the bathroom ceiling. But now I think of them as two evil gremlins waiting to be activated so they can inflict discomfort and suffering onto the inhabitants, the apartment and the building. Although cool quiet air comes from the “cassettes” (the remote controlled blower units) when first activated, within a day they start to gurgle as if little monsters are in there having a mouthwash party. The technician told us the problem is because the renters are using the “clima” too much. I see, it’s OK to have the AC, it’s just not OK to use it. Within a week of the AC installation, the water that went into the machines ended up leaking through the ceiling, causing damage to the walls and doors that took almost 8 months to get repaired. The insurance claim is a story I won’t get into here. Now in our second summer, the AC seems to have sprung a leak through the wall of the building, finding a path over the mailboxes in the covered walkway. We are waiting for Hakim and Walid “the Clima guy” to show up this morning. This could take a while. We’ve scheduled a lot of repairs for the last 2 weeks of July, notifying the “workmen” 6 months in advance. We even called the day before we left San Francisco to confirm the schedule and everyone reassured us all was as planned. The French are very agreeable. The mystery is trying to figure out what is was they agree to. We decided to use the eastern Europeans this time, a change from the Algerians and Egyptians we used for the original renovation. The contractor for the new crew is a Serbian living in France. He calls himself Michel, but it’s not his real name. We’ve learned that in order to do business in France, it’s better to have a French sounding name. Michel has black hair and dark olive skin with a 5 day black beard growth. He rides up to the building on his motorcycle in worn black leathers. He looks tough and foreboding but when he smiles and begins to speak he is very charming. Michel is an excellent salesman and although he doesn’t swing a hammer, he has a good crew of Croatians, French and Spanish workers. Brigitte, our apartment manager, did a “big cleaning” for our arrival. She even replaced the plants in the window boxes. We used to have climbing ivy outside of the bedroom windows and small cypress bushes in the front. Although Brigitte agreed to water them every week, somehow they just dried out and died. Well, there is a lot of calcium in the water here.. But the replacement plants are beautiful and yesterday a flower bloomed. Everything else about the ‘big cleaning” is questionable. According to Brigitte, they washed the windows, scrubbed the floors, washed and folded all the sheets and towels, scrubbed the bathrooms and cleaned everything in the kitchen. According to Gretchen, not so much. “Il faut s’adapter” literally mean it adapts to itself. Our friend Bill tell us that this is an expression the French use quite often that means eventually it will all be taken care of, don’t worry about it. For the French this is fine. Our friends in Italy tell us that a large construction project in Italy is called an opera because getting it completed is very similar to a theatrical event; the drama, the suspense, the disappointment and then the finale, which sometimes comes way too late. It’s not much different here in Paris. But alas the upgrades on our apartments are completed. We added a new lighting system and storage cabinets to the master bedroom. We also fixed the dishwasher so it no longer sends a jolt of electricity up your arm when you touch the switched on dishwasher and the metal sink at the same time. In the downstairs studio, we pulled up the sisal carpet, removed everything in the apartment that wasn’t attacked to the wall or floor and tiled the floor. Michel’s crew also fixed the ceiling where the connecting staircase use to go between the floors. The patch was sagging but now it looks great. We also changed the shower in the studio to one that didn’t leak. 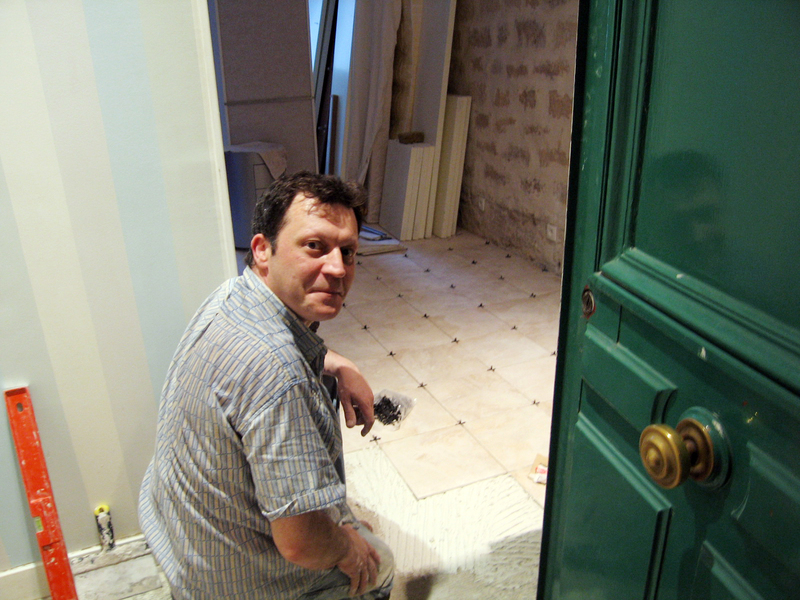 One of the crew, a transplanted Spaniard named Josie (the French version of Jose) was the most talented craftsmen I met in France. He could do anything, carpentry, electrics, plumbing, plaster, brick. He was amazing. The apartment over us has been vacant since we moved in. it’s been nice and quiet up there but recently two Brits bought the place and they are spending a few years in Paris fixing it up themselves. Peter and Stephanie, being retired antique dealers. At first we were afraid of the noise. The walls and floor of the old building are thin and noise carries fast and furious at 62 rue des Tournelles. But Peter and Stephanie are the most wonderful neighbors we could ask for. They are fun to be around, the are considerate to only work on their apartment from 10am till 4pm, and they have “home pride”, something the rest of the people in the building seem to lack. Most of the people in the building (in both building on the property) have been here since the 1970’s when this was a (shall we say) poor area of the city. 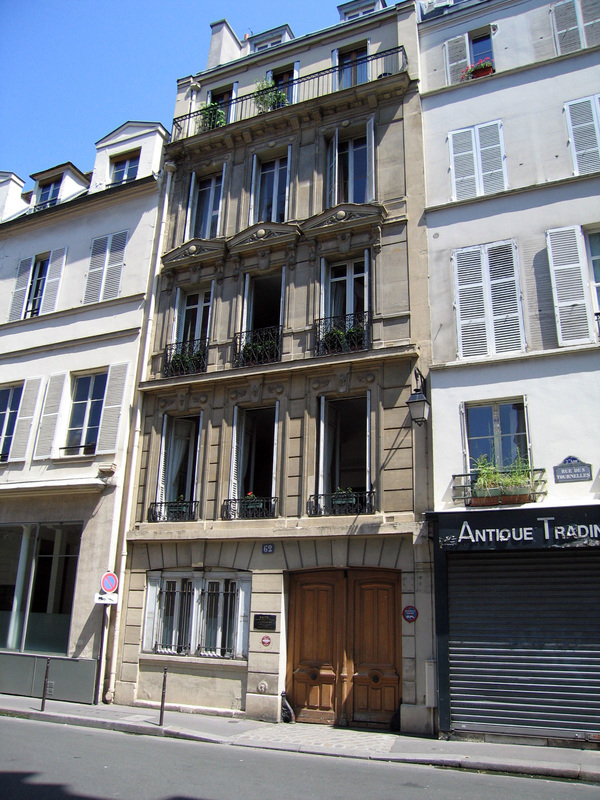 The Marais is now the most sought after locale in Paris but the occupants refuse to put any money into the building. Some of them don’t have the money, others just refuse. When a thief removed the brass stair post finial, the other occupants of the building refused to kick in the funds buy another. We couldn’t even replace it ourselves because it was on common area and it required a vote of all the tenants. Such is France. After a year of looking at the bare screw emanating from the post, Peter finally bought a wooden finial and replaced it. No one in the building said anything. Peter and Stephanie became our favorite neighbors and friends. We dined out together often, frequented each other’s apartments and in July we paid them a visit in a old antique filled estate they were house sitting by the river Chantou, about a 20 minute ride from Paris on the RER train. We felt a close simpatico relationship with them, mostly because we were the only people who seemed to care about the building. The apartment above Peter and Stephanie belonged to a woman who hadn’t lived there for years. She let her daughter, Miriam, use it. Miriam took in two other women to help pay the bills why they were putting themselves through school. Every other weekend there was an all night party that started around 10pm and lasted till about 4am. No-one in the building slept when Miriam’s girls were entertaining. Peter said they would actually come down to his flat and tell him they were having a party. He thought it was considerate of them to a degree, Maybe they were telling him he should go stay somewhere else for the night. Above Miriam’s girls was Agnes, a 30something girl who quit her job and was trying to write the great contemporary French novel. Agnes was a frantic and depressed woman. Everything annoyed her but she was always in too much of a hurry to talk about it. On those nights when she couldn’t find a parking space nearby (and there was never a parking space nearby in the Marais), Agnes would put her car into the small courtyard below our bedroom windows. when we would ask her to please not do it, she would get angry and tell us there is no parking in the street, as if it was our fault. At the top of the building was Mr Upstairs Man, as Stephanie called him. We never knew his name. He owned a small studio size apartment at the top of the building and one day he decided to make it bigger and framed in a good part of the hallway into his personal living space. For months he carried supplies and lumber up the staircase or into the small elevator. We heard the banging but we had no idea what he was doing. We never went up there. One day, someone from the building went up there to snoop around and discovered Mr Upstairs Man had appropriated quite a few square meters that never belonged to him. No one really cared about the space. In true French fashion, they just made him pay the going rate for square footage back to the rest of the building tenants. To be honest, I never remembering receiving any money from Mr Upstairs Man, but the banging finally stopped. 2005 was also a year of visiting friends and family. Gretchen’s sister Polly and her family stayed in the first floor apartment for a week. 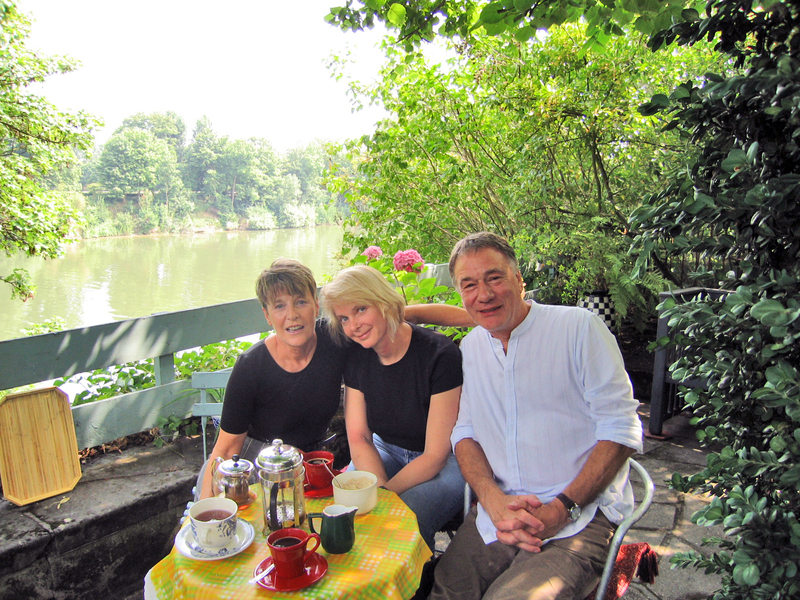 My parents came for a September visit before they embarked on a cruise on the Danube River and friends from Tuscany had a wonderful week in the studio apartment. The rentals were going well. We got rid of the sleeper couch and replaced it with something we both liked. We now rented to a maximum of 4 people in the 1st floor flat and 2 people in the studio. There were a few mishaps, mostly with the sani-broyeur. We put signs all over the toilet, things like “Press the button only once” and “Do not throw too much paper into the bowl.” We put little notes all over the apartment to please turn off the lights and electrical appliances when you leave the apartment but the renters couldn’t care less. They mostly felt if they were paying for it they could leave it on. Electricity is expensive in Europe, so are light bulbs. We also changed the lock on the front door two or three more times. It was so sad to explain to the renter who lost the key that we had to charge them 700 euros to replace the lock and make new keys. One renter mistakenly threw the keys into his luggage and took them to Croatia. When we discovered them missing we called him on every phone number available to us (home, mobile, work) and sent numerous emails. We never got a response. After two weeks, we changed the locks and took the money from their damage deposit. When they did finally resurface, they were pissed. They had the keys but since they were on vacation, they didn’t want to check in with any phone calls or email. They just figured they’d send them back to us when they got home. I guess they never read the rental contract where it was written in all CAPS, lost keys would result in a 700 euro replacement charge.